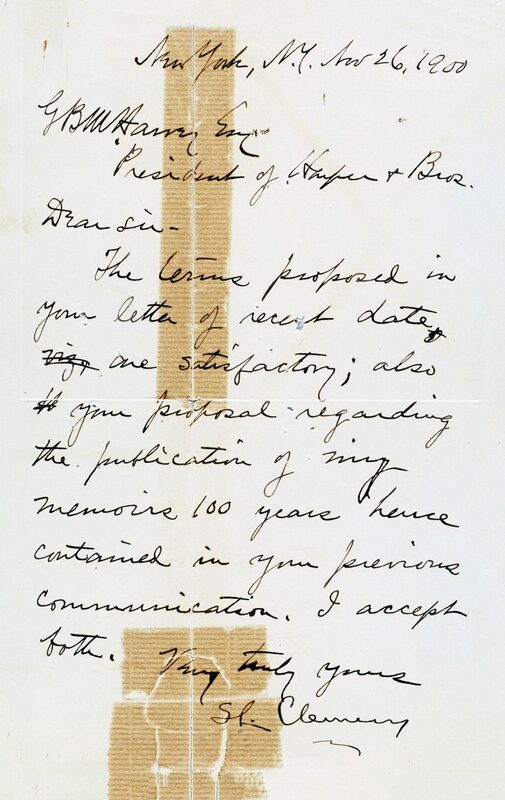 A 1900 letter from Mark Twain (Samuel Clemens) to Harper & Brothers confirming their publishing agreement. In 1866, with mostly newspaper articles and other short works to his name, Mark Twain accepted an assignment from the Sacramento Union to produce a weekly column from Hawaii. 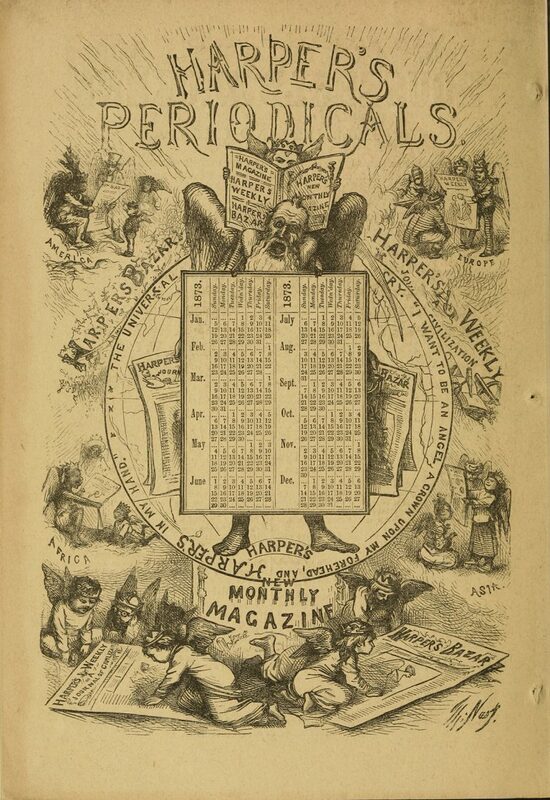 Despite the success of this column, Twain craved the respectability that came with writing for a prestigious magazine. 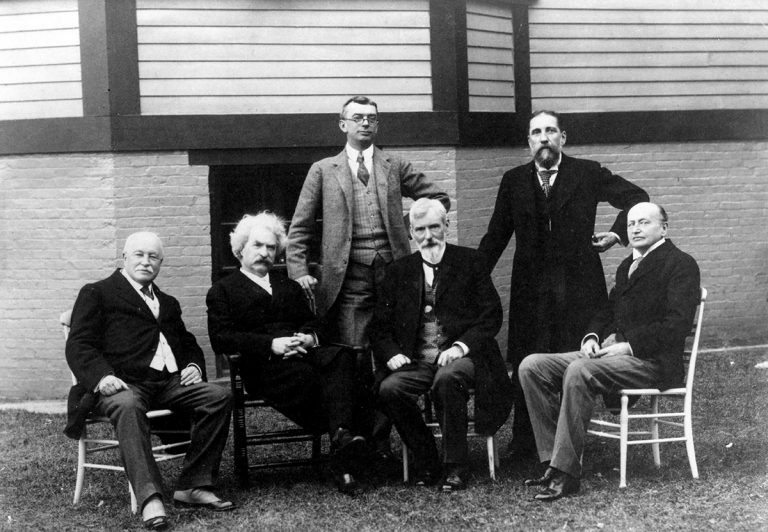 From this memorable beginning, the relationship between publisher and writer continued until Twain’s death half a century later. A contract from 1895 that gave the publisher rights to multiple titles came just as Twain lost a fortune in his own failed publishing venture. Harper & Brothers paid a royalty of 15 to 20 percent on works that included Huckleberry Finn, Joan of Arc, and Tom Sawyer Abroad. 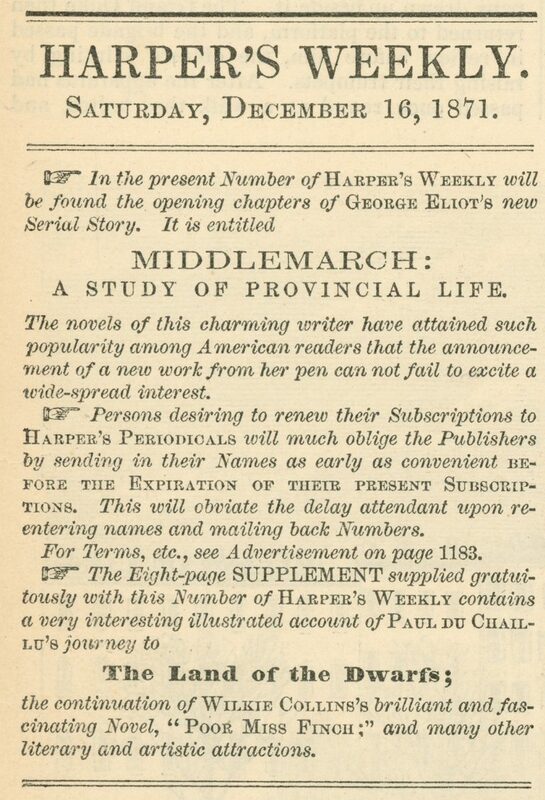 Despite the well-established relationship between author and publisher, Harper & Brothers nearly lost Twain when it entered bankruptcy in 1899. 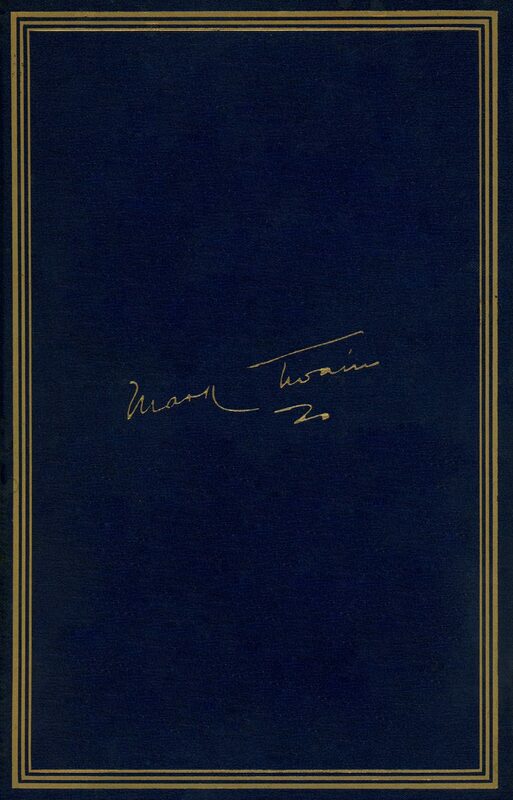 Twain ultimately signed a lucrative contract that gave Harper & Brothers rights to all future works. This agreement helped to rebuild public confidence in the firm and also consolidated Twain’s work with one publisher.